April was not one of my best months. I had a very hard time getting to work on games this month due to a lot of other things going on. 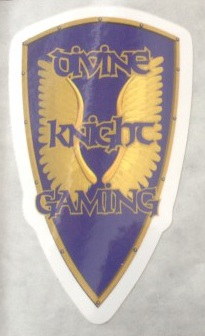 So when I actually had time to work on a game, and there was little of it to be sure, I went with something very basic. 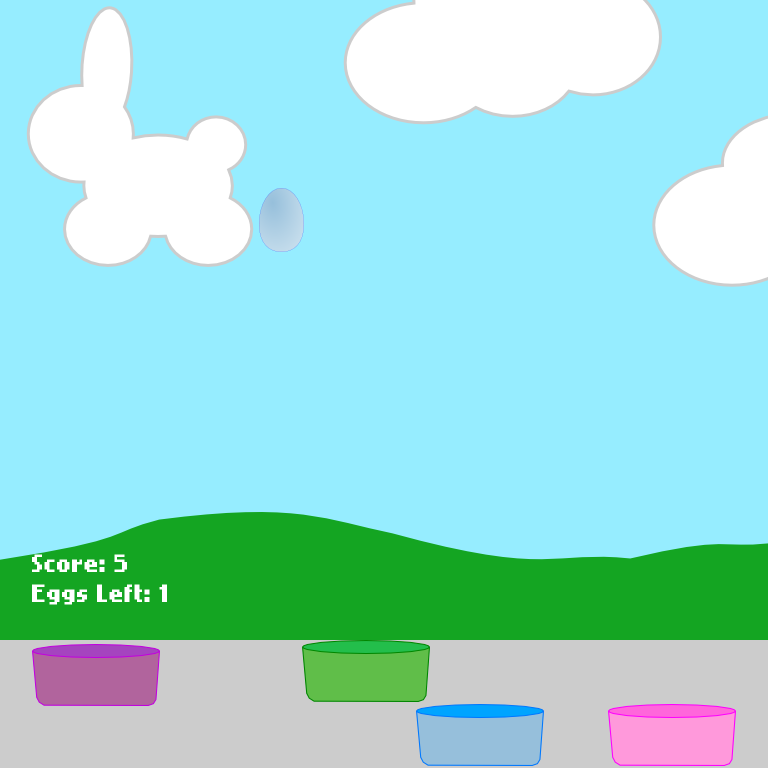 Easter Egg Toss is about as basic a game as you can get. 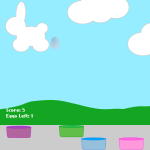 Colored eggs drop from the sky and you must catch them in the matching basket. Each correct catch gets you one point. But there are black eggs that you have to avoid. I really can’t say I am “proud” of this game as it really isn’t up to my usual standards. It is a complete game and provides some kind of challenge, but could use a lot more effort and work to make it something viable. I feel like it was done merely because I obligated myself to making it. As for what could be done to improve it, That is hard to say. I think completely changing the game mechanics would be in order if I wanted to make a truly fun game. The rearranging of baskets is cute and all, but just doesn’t present a lot of challenge. On the technical side of things, it would be better if I had set it up to alter the z-index of the baskets based on their y position. I would want all baskets to appear behind the other baskets if they have a lower y value (closer to the top of the screen). This would add a layer of depth the game it is currently missing. That is really all I have to say about this particular game. I am going to try to do what I can to make May’s game a lot more interesting, unique and fun.